It is something that many website owners worry about, the idea that your website has been hacked. Not only can it be a concern, but it can also lead you to think that your security isn’t up to scratch. What if your website is hosted by a specialist provider such as WordPress? Does this mean that it is impossible to hack? The answer is no, any website, even those that are hosted by WordPress can be hacked. The reasons behind this can be linked to your own security vulnerabilities, or those that can be found within WordPress. Here are some of the biggest security threats to your website, whether the threat comes from your own computer or WordPress itself. Despite there being a number of ways that your WordPress site can be hacked, should the worst happen it can be rectified. Here are our top tips. There is no point starting to panic if you have been hacked, instead take a moment and a deep breath. You should try to avoid doing anything rash, which could make things worse. We don’t mean grab the hoover and start dusting, rather make sure that your local machine is nice and clean. Run an anti-virus scan on the machine, and make sure that everything is up to date. 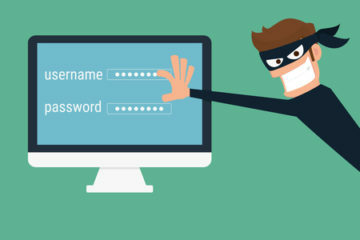 It may be a good idea to log into your hosting account and send their support team a message asking if they can trace why your site was hacked. You should also take this opportunity to change your passwords. There is a chance that the hackers may have left backdoors open to your site, if they have then you will need to make sure that you firmly slam these, and secure your wp-config.PHP file too. After being hacked, the chances are that you won’t want it to happen again. So, why not take a look at some more premium security options that are open to you. There are a number of them to consider including Managed WordPress hosting, Sucuri and Manage WP. You may not realise it, but there are some best practices that you can follow to minimise your risk of being hacked in the first place. By following these tips you can minimise your risk of being hacked and make sure that your WordPress site is well protected and safe from any harm. If your website has been hacked then call our friendly support team who will advise you what you need to do. All orders are subject to our Terms of Conditions. © 2005 - 2019 Seven Internet Ltd. Registered office: 128 West Street, Portchester, Fareham, England, PO16 9XE - Registered in England number: 05527035.